Although not included, there are several add-on components to enhance the functionality of the visual acuity software. Foot Pedals can compliment your keyboarding providing greater comfort, higher productivity, and lessen wrist stress associated with carpal tunnel syndrome. Up to three foot pedals can be used instead of a keystroke for a frequently used or hard to reach key, a macro, or any mouse function. The 3 foot pedal system will allow you to use one pedal for the shift key, one for the ctrl key and one for the alt. 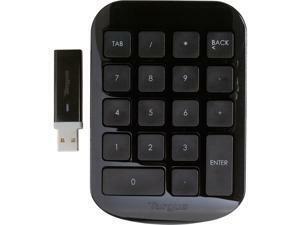 However, they can be programmed to be any key on the keyboard, or emulate any mouse click. Navigation within the electronic eye chart or (e-chart) will make this vision checking software much simpler.Our preferred pedal, pre-programmed and ready to use is available for ordering directly from the manufacturer. Wireless Keyboard such as those made by Logitech also make the control within the digital acuity software much easier, especially for pediatric eye exams or pre-verbal exams and retinoscopy. AcuityMaster (computerized chart projector) state-of-the-art visual acuity software, also referred to as computer eye chart digital eye chart, computerized visual acuity, eye chart software, computer vision chart or a digital eye chart. Our digital acuity software can be used asses contrast sensitivity, visual acuity via snellen chart, pediatric friendly optotypes. This visual acuity system can run on dual monitor system or AIO (all-in-one) computer and be mounted on the wall to project the eye chart in optometrists and ophthalmologists eye exam lanes.